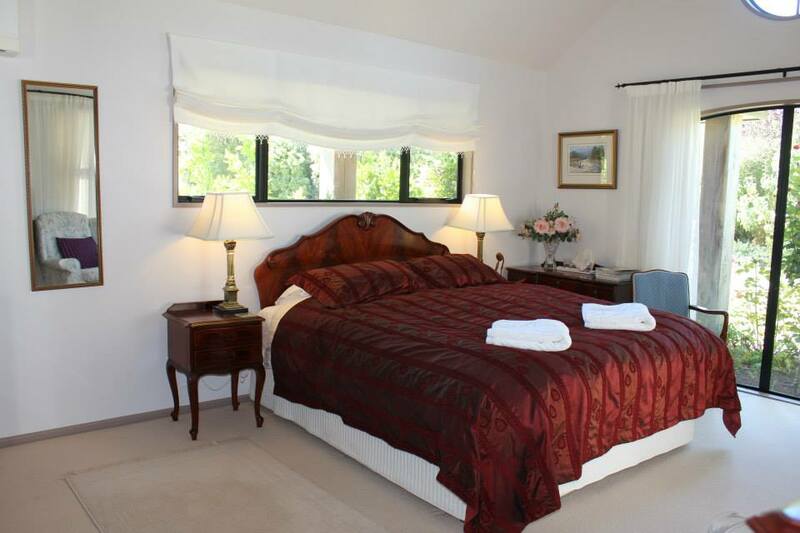 Garden View is an award-winning Bed and Breakfast situated in the tranquil surroundings of Rolleston, New Zealand. Garden View is the perfect stopover as you arrive for your South Island tour and before you leave to return home. Ideally located in one of the World's finest wine regions. 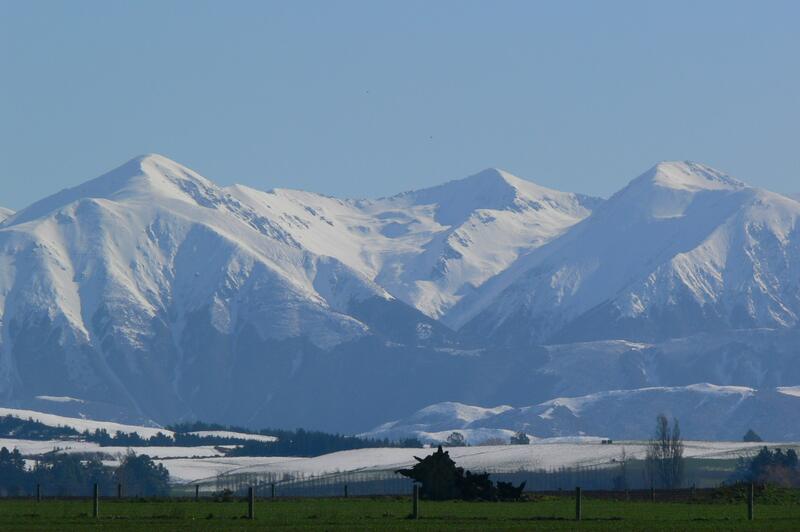 Garden View is your gateway to everything Canterbury and the South Island of New Zealand has to offer including skiing, trekking, golfing, camping, hunting and fishing in the great outdoors. Relax in our romantic Torlesse Room with Ensuite: King-size bed, TV/DVD, radio/CD, bath, tea/coffee-making facilities and privacy. Wake to a beautiful garden sunrise and birdsong. 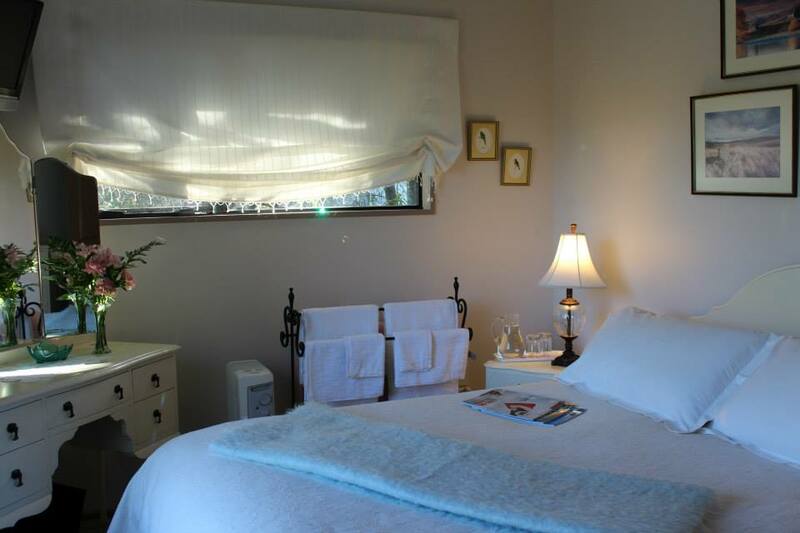 The Kowhai Room includes a Queen-size bed, TV/DVD, radio/CD, a spacious 'adjoining' shared bathroom and separate toilet. A beautiful sunlit room in harmony with its own rose garden and equipped with a library of pictorial books. 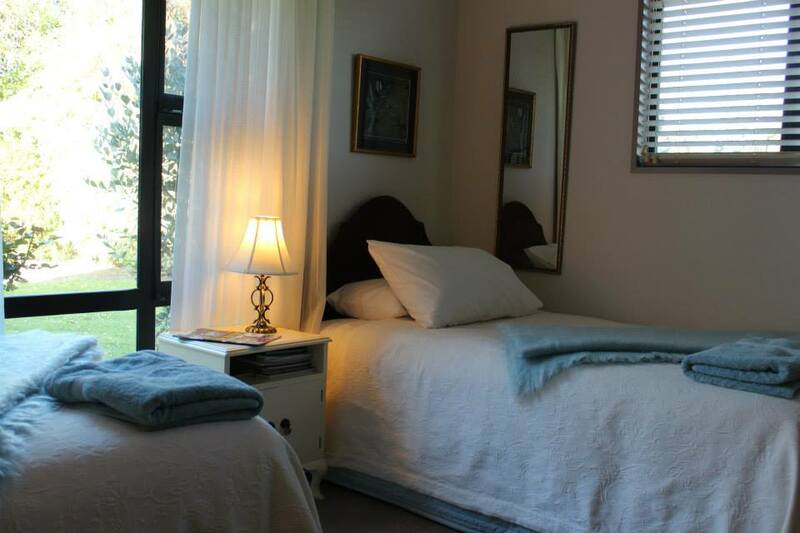 The room includes two King-size single beds, TV/DVD and a writing bureau. A spacious shared bathroom and separate toilet are across the hallway. Relax in the peaceful atmosphere of Garden View.